We fain would discharge this day. And make us merrily sing. 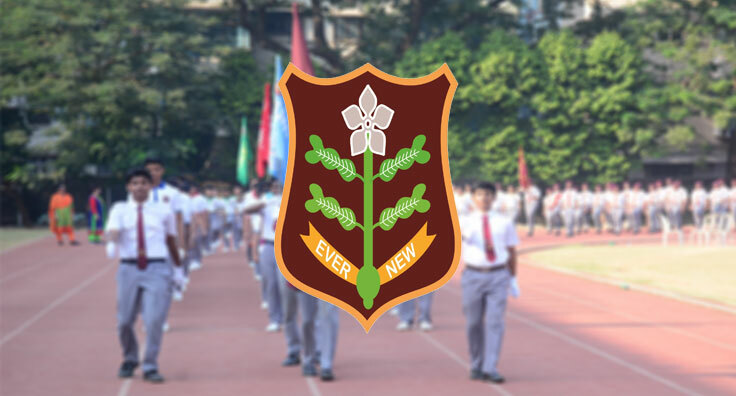 The school crest is composed of a white periwinkle on a maroon background, with a scroll having the school motto, ‘Ever New’. The periwinkle is an all-the-year-round flower. Similarly, the school always lives up to its motto and keeps up the high tradition of which it is proud.